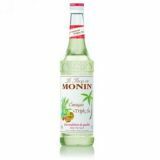 Monin Tangerine (Mandarine in French) syrup in a stylish 70cl glass bottle. Tangerine or mandarin? Actually, all tangerines are mandarins. 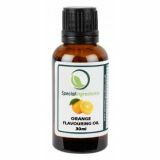 The term 'tangerine' has no botanical meaning and the two names can be used interchangeably. The tangerine is an orange or red coloured citrus fruit. They look like clementines or small oranges, but the taste is often sourer, or tarter, than that of an orange. Should you enjoy the tender and juicy tangerine flavour in your drinks, add Monin Tangerine syrup which keeps all subtle sweetness of fresh tangerine fruit. Colour: Bright orange colour, slightly cloudy. Tasty: Strong nose of tangerine peel, very juicy and acidulous taste of first harvest tangerines. Applications: Smoothies, sodas, cocktails, fruit punches, teas. 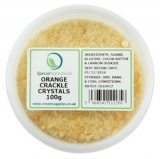 Sugar, water, acidifying agent: citric acid, natural tangerine flavouring with other natural flavourings, concentrated lemon juice, emulsifiers: acacia gum, E445, colouring agents: E160c, E161b. 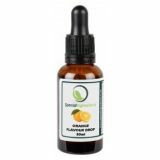 Total fruit juice: 17% minimum, including 10% tangerine. Please note: Not compatible with cold milk, steamed milk or coffee.